You're up against an empire, but time is on your side. Hi everyone! After five years of part-time development and four years of full-time work, Timespinner is finally coming out on PS4 and PS Vita on September 25, at the price of $19.99. Hurray! 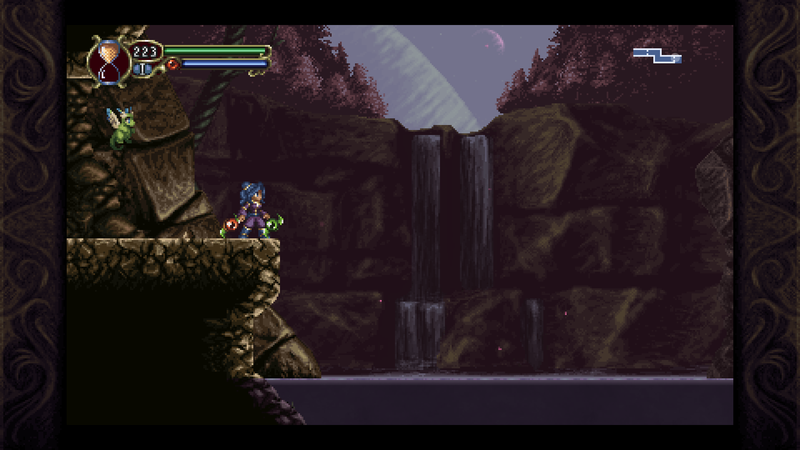 Timespinner is a story-driven adventure inspired by classic 2D platformers from the 90s. The game’s story follows Lunais, a young woman who travels through time in order to seek revenge on the empire that killed her family. 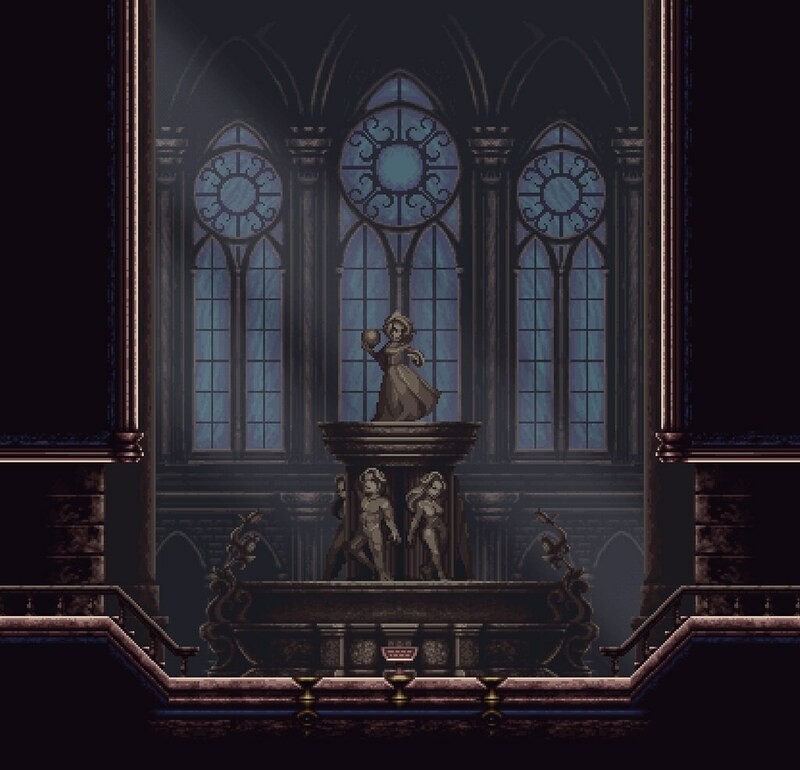 If you’re a fan of the “Metroidvania” genre, Timespinner will make you feel right at home. In addition, the game also has several features that make it feel fresh and new. Time-Stop is the game’s signature ability and namesake. To put it simply, the time-stop freezes all enemies in the room, at the cost of Sand for each moment that time is frozen. While time is stopped, you can use enemies as platforms or simply choose a more advantageous position in battle. About to be crushed by a boss’s attack? Stop time and side step! Feeling swarmed by enemies? Stop time, get behind them, charge a spell, and unleash it right when time is unfrozen! 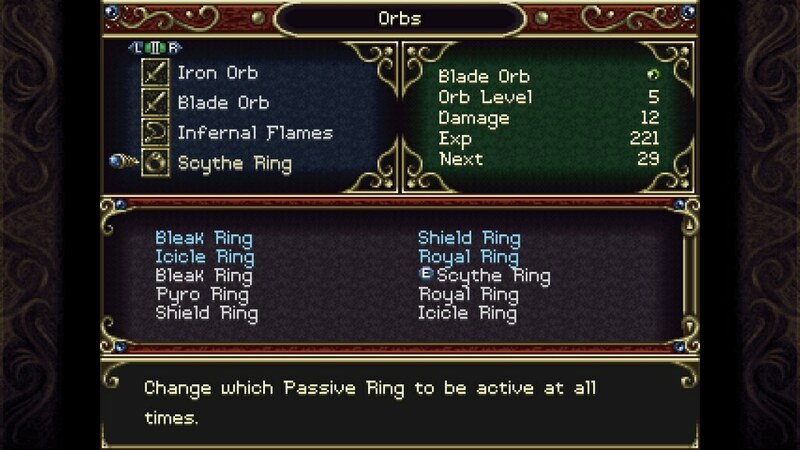 The heart of combat in Timespinner revolves around equipping orbs: crystal balls composed of condensed magic. Throughout your adventure, you will find many different orbs (be it from defeating bosses, delving deep inside dark dungeons, or simply given to you as a gift!). Each orb has three unique aspects: a melee attack, a spell attack, and an always-on passive. An orb’s melee attack is often a short-ranged ability that is free to use. Since you can equip two melee orbs at once, you can mix and match different melee orbs (although I always prefer to use two of the same type — I like symmetry!). By taking a new orb to an Alchemist, you unlock both its spell and passive. Spells are powerful attacks that cost Aura, a form of MP which slowly recovers on its own. You can level up orbs by defeating enemies with its spell or melee attacks. The higher an orbs level is, the more powerful its melee, spell, and passive will become. An orb’s passive is a unique always-on buff. Passives can augment your melee attacks, offer protection, or even help you find hidden passages! Be sure to pick a passive that complements your playstyle! Collectable “Memories” which detail important events of a specific character. 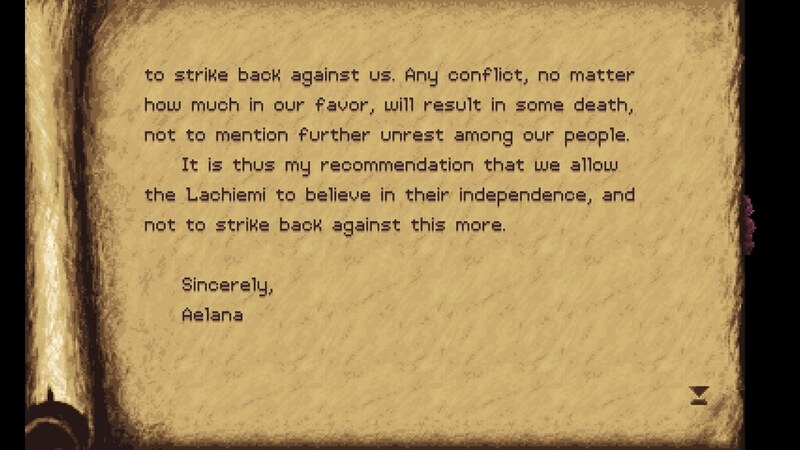 Collectable “Letters” which contain multiple viewpoints concerning a historical war. Collectable “Downloads” which act as encyclopedic knowledge of people, planets, and more. Optional character quests with unique rewards. It’s been a long time coming, but I’m super excited to show Timespinner to the world! Yay! Thank you so much for putting this out on Vita. Any chance we may see a limited physical release for this either through LRG or some other outlet? This looks like one I’d want to have a permanent copy of. Vita?! And Chucklefish? I’m in! Looks incredible. I’m definitely feeling a heavy Symphony of the Night influence which basically makes this a must-buy. Thanks! Yeah, I absolutely love the 2D Castlevania games. I hope you like Timespinner, too! Wow, that’s some attractive sprite work. Looking forward to playing this on my Vita. Giving me those DS Castlevania Vibes vibe. Can Lunais rewind time (if you can’t time a good position with time Stop)? Only the Orbs can be leveled up? Thanks for bringing to the Vita. Unfortunately, no rewinding time. I could never figure out how Braid did it, haha! The player levels up with experience, orbs level up with kills, and so do familiars. I NEED THIS IN MY VITA!!! This looks amazing, and congratulations on all your hard work paying off! I know how much time, devotion, passion, and work goes into something like this, and I just want to congratulate everyone on making it through and releasing what looks to be an exquisite retro-inspired game! I will be playing either way, but I gotta ask; platinum trophy? Hey Will, thanks! It was definitely quiet the journey. This game has full Trophies, have fun hunting! Is it fullscreen or have black bars? I’ve been following this game for so long, and it warms my heart to see a virtually-one-man passion project like this take off! Good luck, Bodie! I hope it goes platinum! It’s been a long time since the Kickstarter, and now it looks pretty awesome. I’ll definitely be playing it at some point. 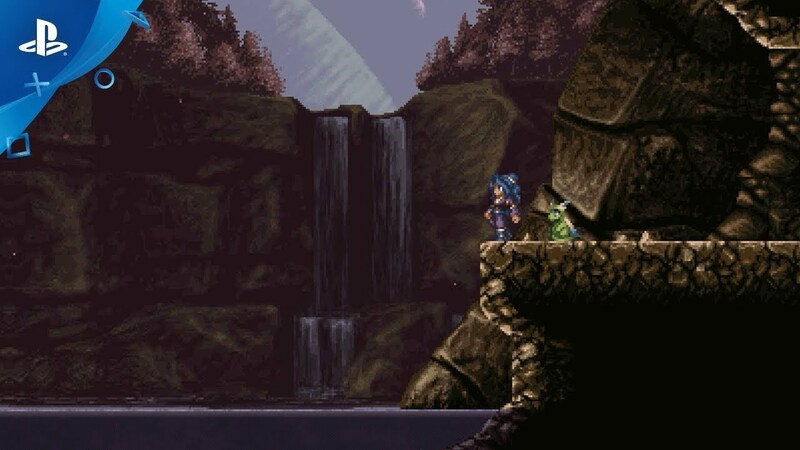 I hadn’t previously heard of Timespinner, so I’m happy to read about it now. I’m also a fan of the Castlevania series, and I can see some similarities in this game. The artwork looks great! Cross-buy is appreciated. Does the game support cross-save as well? It’s evident this was a labor of love that was a long time in the making. I’m happy you were able to bring it to fruition. Good luck to you! Another Vita game for me and with cross-buy. Awesome! Looks good and I’m interested in it but Sony has yet to add it to the store for pre-purchase. Also Sony, if you’re reading this, how about putting direct links to the games you post on the blog for anyone that is interested. Been looking out for this game for a long time, and cross-buy makes it even better. OH MY!!! This is a day one purchase for my Vita. This looks great. I don’t see it out on the store yet though to preorder but I’ll keep an eye out closer to 9/25. Can’t wait to play this. Well color me SOLD! I’m really excited for this. On the same exact date than Hollow Knight? This is the worst possible timing ever (and with Megaman 11 just after). I’ll definitely play this game, but not before I finish Hollow Knight and Megaman. How come we almost never get nice 2D platformers, then they all pop at the same time? Maaan! The game looks really nice by the way. Nice. Really. I don’t think the game had unlockable art galleries, through my perspective, because if it had, it would up the replay value a bit. You planning on doing that in a patch once the game launches? I’d like to see that in. People are looking forward to playing it, so, thanks! Thank you for supporting the Vita. Like some of the other guys said, I really would love a physical version of this game. I know Vita cartridges will be manufactured up until March 2019 in NA and EU, but will still be manufactured in Asia. You may want to work with Eastasiasoft to make physical Vita games and sell them through Play-Asia. The game looks incredible! The Vita community is very supportive, if you check with some of the other publishers to make sure that a vita physical can’t be done would be great. The Vita library could really use such a fun title and we would line up to buy. A collector’s edition too, I’m all in! I can’t wait to play this, it looks amazing…a quick question… Will there be any discount for ps plus members on release? Easy buy, looks beautiful and well made! Now I’ll go to buy Chasm! Hi, Bodie! Great to see everything finally coming to fruition! I know some have already asked about cross-save and that you’ve said that there wasn’t enough time to implement it before release, but are you planning to update the PS4 and PS Vita versions to support cross-save? If so, do you have an ETA on said update? Just purchased. Found it after the kickstarter closed by have been following off and on and saw how much work you put into it. Can’t wait to play, thanks Bodie!